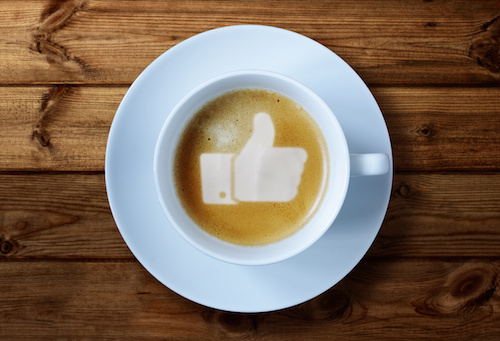 The Latest and Greatest: 3 New Facebook Marketing Tools for Your Small Business - Mischa Communications, Inc. Mischa Communications, Inc. The thing about “new” is that it’s always changing. Not long ago, we talked about the best “new” features Facebook had to offer for small businesses. While many of those previously mentioned features are still very useful, there are some new kids on the block. Read on for the run down on the latest and greatest Facebook marketing tools for promoting and managing your small business. There’s no such thing as too many ways for people to contact you. So, Facebook has updated its page messaging features to make it easier for you to connect privately with your small business’ audience. Facebook recently added a “send message” button to ads that appear in your potential customers’ news feeds, making it simple for them to connect with you in a single click. In the next few weeks, you’ll also have the ability to reply to a customer’s comment with a private message rather than continue the conversation under the watchful eyes of everyone else on your page. One new messaging feature that should get your attention – the coveted “very responsive to messages” badge. This honor is awarded to businesses that respond to 90% of their private messages within five minutes, and it’s definitely a bit of flair that you should strive to earn for your profile! Most people now use a mobile device rather than a PC, and they spend most of their time on that device in apps – Facebook, Twitter, etc. Facebook’s dynamic product ads aim to increase your conversion rate. In other words, they’ll find people to actually buy your small business’ product or service, rather than just clicking on your flashy ad. Want to target local people, previous buyer or people who added an item to their cart, but never completed the purchase? No problem. Want to show each target group a different product or service? Facebook has that covered, too. The way people shop online has changed. Dynamic product ads exist to adapt to those changes and get you the biggest bang for your marketing buck. Whether you’re new to the game or a Facebook marketing pro, questions are bound to pop up, and you might not always have time to send in a support ticket and wait. With the rollout of online chat support for Facebook advertising clients, waiting is a thing of the past. Simply click on the “get help” button and you’ll be connected to a real, live ads specialist. Ask your questions, get real-time answers and even share your screen with your ad pro to talk strategy or get more information. The digital world is changing, and Facebook is changing with it. For more information about the new features available for small business clients, visit Facebook For Business – or contact Mischa Communications! We can walk you through the latest social media innovations for your small business.